At GroundWork Counseling in Orlando, our Orlando Therapists treat individuals of all ages who are suffer from anxiety and panic attacks. Many of our counselors are certified in Cognitive Behavioral Therapy (CBT) and Rational Emotive Behavior (REBT), a specific type of Cognitive Therapy – so, how can CBT help with panic attacks? Panic attacks consist of intense episodes of fear that often trigger a physical response during a situation where no real danger is present or imminent doom. When individuals have a panic attack they have thoughts of losing control and even dying. While exact causes of panic attacks are unknown – factors such as genetics, major stress, temperament, and certain changes in the way the brain functions could play a role. While some research suggests it is related to the body’s natural ‘flight or flight’ response it is still unknown as to why it occurs when there is no clear or present danger to an individual experiencing a panic attack. The symptoms of panic attacks can be treated effectively through the use of cognitive behavioral therapy and counseling, a method that has been used by Orlando Counselors at GroundWork Counseling. Cognitive behavioral therapy has two components in which the client learns to identify what triggers the panic attack and changing the distorted thinking patterns that arise in a safe and supportive setting; as well as desensitizing the anxiety through repeated and gradual exposure to the situations that are feared. Through the use of cognitive behavioral therapy the client learns effective techniques to lower stress levels, control their symptoms, and with practice and time overcome the panic attacks. Throughout their life many individuals may only experience a few panic attacks or have them recurrently. 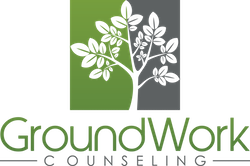 At GroundWork Counseling we are committed to helping individuals overcome their panic attacks and anxiety with the use of cognitive behavioral therapy – if you or someone you know may be experiencing unexpected panic attacks and could benefit from help, please do not hesitate to call us for more information.